@db_1974 Talking about the portrayal of Indigenous men in health/human service provision promotional materials, and the lack of positive/empowering imagery. Also, how “behavioural change” programs contribute to negative stereotype and assumptions, and how promoting programs as “behavioural enhancement” is more strengths based. He will also talk about the limited number of academics teaching social work and the Indigenous LGBQTI community. *** Social work tweets were informed from Indigenous Social Workers nationally. #IHMayday G’day I’m Dameyon Bonson. I’d begin by acknowledging all traditional owners across the many nations. #IHMayday I am of the Mangarai people and those of the Western Islands of the Torres Strait. I am also of Caucasian heritage. I am proud. #IHMayday The 1967 referendum Indigenous peoples were voted to be included as citizens of Australia, not plants or animals. #IHMayday what they need. It is about shared respect, shared meaning, shared knowledge and experience of learning together. #IHMayday has landed in the hands of universities who are still mainly governed & taught by non-Aboriginal & Torres Strait Islander people. #IHMayday It makes it difficult for our people to go through this environment to get qualified to work with our people appropriately. #IHMayday university to be qualified to work in health. #IHMayday The sad reality is that despite all the rhetoric & fancy rec plans etc, we are still excluded from employment in universities. #IHMayday most of the jobs are short term contracts or low ranking jobs that do not make use of our qualifications. #IHMayday We are told that “education is the answer”, but that is a bit of spin, when there are no jobs. #IHMayday Its as though it is impossible for them to consider that we are capable of more than being liaison staff. #IHMayday paradigms that showcase culturally specific models of health engagement. #IHMayday that is deeply embedded within a mainstream perspective of engagement. #IHMayday is piecemeal at best and is added as electives and not integrated into the overall course structures of individual tertiary institutions. #IHMayday Aboriginal and Torres Strait Islander cultures, traditions and law, the likelihood of any change is negligible. #IHMayday into tertiary education, unless of course it is a specific Aboriginal or Torres Strait Islander subject. #IHMayday The reason we are where we are at this point is because of the fight and the work that many of our older mob have done. #IHMayday We wouldn’t be where we are without the fight and strength of these people and our forebears. #IHMayday If the very places that educate our countries' professionals can't be inclusive, there leaves little hope for various other employers. #IHMayday Employment and valueing our knowledge are serious issues that we need to address as a national group. #IHMayday other degrees are able to have up to six hours a fortnight paid study leave. #IHMayday They give you that look. #IHMayday on to the Recognise Campaign & Reconciliation Action Plans. #IHMayday Torres Strait Islander people; in this instance social work graduates? *End. #IHMayday obtaining research grants. They then wonder why they can not get anyone to take up the position. #IHMayday extremely assertive (or some might say aggressive) about it. #IHMayday tokenism and patronisation are still the norm. #IHMayday and how promoting programs as “behavioural enhancement” is more strengths based. #IHMayday Most programs for Indigenous males are about changing their “negative” behaviours and advertised as such. #IHMayday Programs that correct violent behaviours, or aim to sober them up from alcohol and other drugs. #IHMayday When these programs are publicly advertised there is no balance for the men but also for the general population to see. #IHMayday This contributes to the ongoing demonization of Indigenous males and further excludes as positive contributors in society. #IHMayday How many Perinatal programs are targeted to new Indigenous Dads? #IHMayday How many programs enhance the inherent strengths of Indigenous males? #IHMayday When was the last time you sat in a waiting room and saw positive image of Indigenous males? #IHMayday When was the last time you saw an Indigenous male being congratulated on buying their first home? 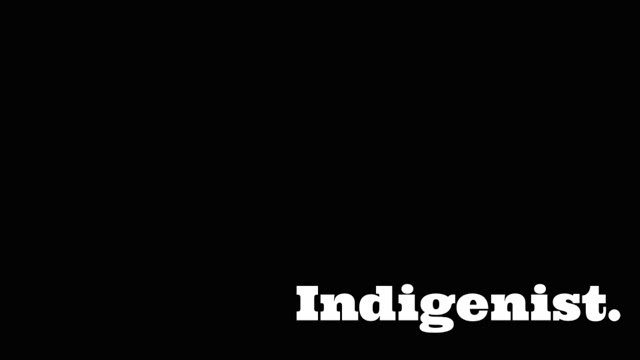 #IHMayday When was the last time you saw an Indigenous male being enticed into university? #IHMayday When was the last time you saw an Indigenous male being positively portrayed on an Australian soap opera? #IHMayday People wonder why so many Indigenous male youths are disengaged, well, society reflects that they are not part of it. #IHMayday If you Indigenous males are not engaging in your services or programs then you’re not doing it right. #IHMayday The voices of the Indigenous LGBQTI peoples are largely absent from both Indigenous & LGBQTI suicide prevention strategies & activities. #IHMayday Challenges of providing Indigenous LGBQTI content in a suicide prevention strategy has been identified (Holland, Dudgeon, Milroy 2013). #IHMayday Furthermore it has been indicated that more research needs to be conducted (National LGBQTI Health Alliance 2012). #IHMayday in Darwin the voices of Indigenous LGBQTI peoples will be workshopped via an Indigenous methodology called "Yarning Circles" (Bessarab & Ng’andu 2010).